Tackle wrinkles with the Filorga Time-Zero Serum; a potent formula that works to visibly correct all types of wrinkles, including the most stubborn lines. Combining Filorga’s Zero Wrinkle Concentrate and their Intense Lifting Gel, the innovative serum harnesses the power to combat an array of wrinkle types. 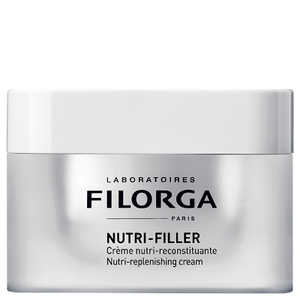 Utilising three varieties of Hyaluronic Acid, the formula works to visibly plump the complexion and fill deep-set wrinkles, while Matrikines and NCTF (Filorga’s exclusive complex) tackle lines that are a result of fatigue. 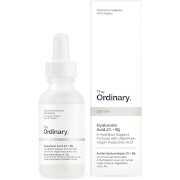 The anti-aging serum offers botox-like correction; without the pain. The wrinkle cream is able to tackle contraction lines by encouraging skin to relax without freezing the facial expression. 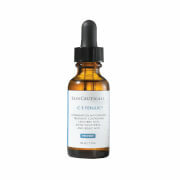 Providing exfoliation, Gluconolactone resurfaces the skin and visibly fades fine lines on its surface. 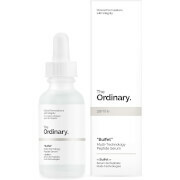 Through daily use, Time-Zero effectively combats each type of wrinkle to leave the face smooth and youthful. Apply daily, in the morning and/or at night, before your day/night cream. Aqua (Water), Glycerin, Hydrolyzed Yeast Extract, Ethylhexyl Palmitate, C12-15 Alkyl Benzoate, Phenoxyethanol, Butyrospermum Parkii (Shea) Butter, Cetyl Alcohol, Dimethicone, Butylene Glycol, Gluconolactone, Acrylates/C10-30 Alkyl Acrylate Crosspolymer, Sodium Acrylate/Sodium Acryloyldimethyl Taurate, Copolymer, Sucrose Palmitate, Parfum (Fragrance), Sodium, Hyaluronate, Caprylic/Capric Triglyceride, Polysorbate 80, Ethylhexylglycerin, Glyceryl Linoleate, Isohexadecane, Sodium, Hydroxide, Allantoin, Prunus Amygdalus Dulcis (Sweet Almond) Oil, Sodium Chloride, Xanthan Gum, Disodium Edta, Hydrogenated, Vegetable Oil, Cetyl Hydroxyethylcellulose, Trihydroxystearin, Carbomer, Polyglucuronic Acid, Dipeptide Diaminobutyroyl, Benzylamide Diacetate, Polysorbate 20, Caprylyl Glycol, Crithmum, Maritimum Extract, Glucose, Lecithin, Citric Acid, Potassium Chloride, Potassium Sorbate, Sodium Benzoate, Calcium Chloride, Magnesium, Sulfate, Glutamine, Sodium Phosphate, Acetyl Hexapeptide-8, Ascorbic, Acid, Sodium Acetate, Tocopherol, Lysine Hcl, Arginine, Palmitoyl, Tripeptide-1, Alanine, Histidine, Valine, Palmitoyl Tetrapeptide-7, Leucine, Threonine, Isoleucine, Tryptophan, Phenylalanine, Tyrosine, Glycine, Glucomannan, Serine, Deoxyadenosine, Cystine, Cyanocobalamin, Deoxycytidine, Deoxyguanosine, Deoxythymidine, Glutathione, Asparagine, Aspartic Acid, Ornithine, Glutamic Acid, Nicotinamide Adenine Dinucleotide, Proline, Aminobutyric Acid, Methionine, Taurine, Ydroxyproline, Glucosamine, Coenzyme A, Glucuronolactone, Sodium Glucuronate, Thiamine Diphosphate, Sodium Uridine Triphosphate, Disodium Flavine Adenine Dinucleotide,Retinyl Acetate, Inositol, Methyl Deoxycytidine, Niacin, Niacinamide, Pyridoxal 5-Phosphate, Pyridoxine Hcl, Biotin, Ca.